Xorel Artform is priced and sold in box sets of the same shape, size, substrate, fabric, and color. Complete box sets include 6 prefabricated panels of the standard shapes. Each box arrives to the job site securely packed and includes all installation and adhesive materials. Complete box sets include 4 prefabricated panels of the 3D shapes. Complete box sets include 3 prefabricated panels of the XL Circle and XL Circle 3D shapes. Circle assortment package also available. Circle Kit is a box set of 6 circle sizes: 2 small, 2 medium, 1 large and 1 XL. 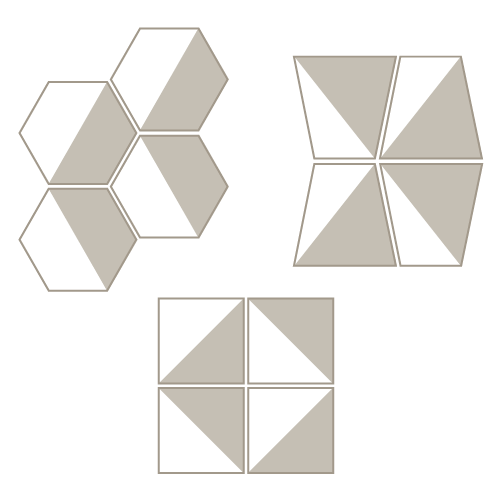 Box sets of Hex, Waveline, and Square 3D panels include "handed" shapes which feature the dimensional element oriented towards either right or left. This attention to detail ensures that the specified Xorel fabric weave is wrapped along the panel in the same direction so that fit and finish are not compromised when changing panel orientation. Two of each handed shape are included in each box set.